Mara Gilardi is currently a PHD student at the Cell and Tissue Engineering Lab, IRCCS Galeazzi Orthopaedic Institute (Milan - Italy) since may 2013. She graduated in industrial biotechnology in febbruary2013, with a thesis on high throughput optimization of recombinant protein expression for antibodies production, aimed for proteomics analysis and biomarker discovery. 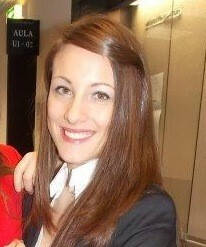 During her thesis she worked in research and development team at Primm.srl in San Raffaele biomedical science park. Since june 2010 until november 2010 she worked on yeast optimization for industrial and biofuels production at the University of Milano Bicocca - Department of Biotechnology and Biosciences. Her main research activities are in the field of molecular biology and cell cultures. As a thesis student she worked on a new protocol for highthroughput gene cloning, expression and purification of recombinant protein in E.coli. Recombinant protein were utilized for mouse immunization; obtained polyclonal serum were utilized for immunohistochemical analysis at the end of cancer biomarkers detection. Present research interests 2D culture aimed to 3D development and genetics analysis of bone metastatic breast cancer cell. In particular she is working on physical and genetic characterization of osteodifferentiated bone marrow stem cells and osteoblasts. Also vascularized bone realization is one of the objective of her research. Actually project is about bone metastasis establishment by breast cancer and related mechanisms. The project is in collaboration with pharmacological institute Mario Negri (Milan-Italy). Genetic analysis and cell cultures for regenerative medicine, 2D and 3D vascularized in vitro bone models for both in vitro oncology studies and future clinical application as bone substitutes. Cloning, protein expression and purification.